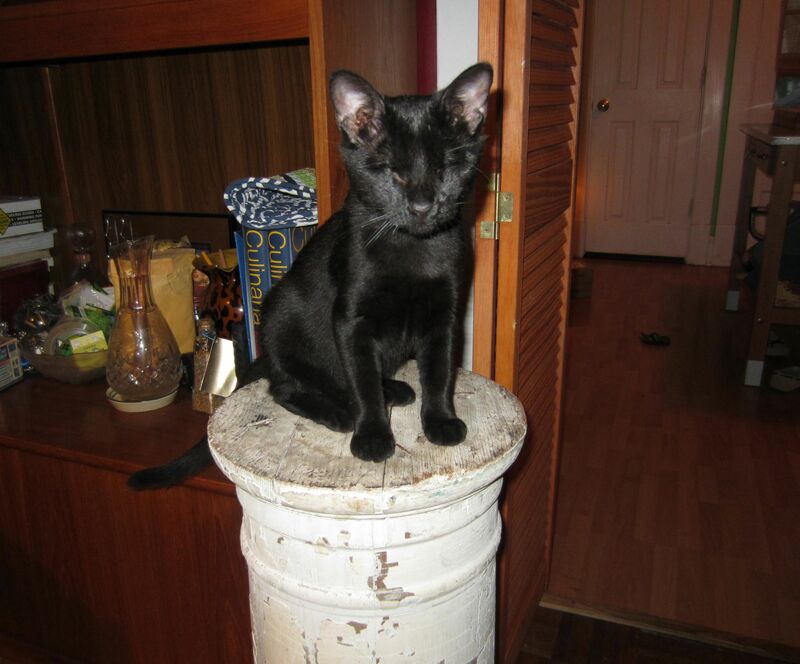 Pete looked up and discovered the tiny kitten perched atop the pillar. He panicked. She climbed down and skipped off to climb something else. This entry was posted in our furry overlords and tagged pillar, tiny kitten. Bookmark the permalink.